New Island Tour Trip - Phuket : Koh Mai Thon Island. 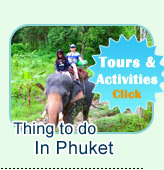 Tour phuket, Phuket Tour or Tour from Phuket: Koh Mai Thon Island. Koh Maithon Island is just the one had been a private Island and kept as privacy area for a long time. 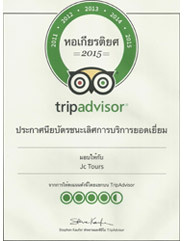 Until Now, from this moment, Jc.Tour Phuket had agreement to the Island owner that we can take the tourist to visit this beautiful island. However, to keep the completed nature around the Island, the amount of tourists per day must be limited. - Maithon Island has so nice and virgin beach. You will be dumbfound with Amazing White Sandy beach of Maithon Island. Moreover, the marine life (Coral Reef, Fishes, Crabs etc..) under the water can make you feel more amazing - So nice, So clear water and very much fishes and Coral Reef. Jc.Tour Phuket offers the trips both by Speed Boat and Yacht Boat daily from Phuket. Please see the bellowing program and highlight pictures before submit the booking. Speed Boat - Top Level Day Trip: The trip you must do once in your holiday time. 08:00 AM: Pick Up from every hotel in Phuket. 08:30 AM: Check In and Welcome at the Deep Sea Port of Phuket: Hot Coffee, Hot Tea served with Snack at the Port. 09:00 AM: Wit Exclusive Speed Boat with our high skill Caption and Crews take you cut the blue sea directly to Maithon Island. 09:30 AM: Stunned with Really white sandy beach 1.5 KM Long. Do a great Relaxing, Swimming, walking around the uncrowned beach on the private Island. 12:00 PM: The Great BBQ Seafood Lunch served with Young Coconut Sorbet at the Honeymoon Bay. This is the private restaurant is just for the group only. 13:00 PM: The tour guide leads you to see the 3 Provinces View Point on the Top Island Hill - Phuket, Krabi and Phang Nga provinces. 14:00 PM: The High Professional Tour Guide will take you to do the best point of Snorkeling, it starts from the Beach. Discover Scuba Diving simple experience will be also available (Out Option) The Scuba request must be on the reservation. 16:00 PM: Print your footprints on the sand, and speed boat take you back to Phuket. 16:30 PM: Arrival the Deep Sea Port. The Minibus takes you back to the hotel. 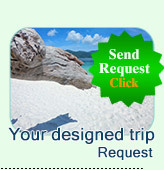 Transfer from and to every hotel within Phuket province. Yacht Cruise: The High Level Experience Dream of Andaman Sea Discovery. Jc.Tour Phuket offers a great Sailing Catamaran Yacht as a Join Trip which can hand over the difference Top Level Experience of Sea Day Tour from Phuket with "Easy to touch Price." Daily Trip by Yacht Cruising: The real exclusive andaman sea tour style. 08:00 AM: The Air-Condition Minibus pick you up from every hotel in Phuket. 09:00 AM: Checked In for the trip at Phuket Deep Sea Port. Welcome with the Hot Coffee or Tea served with the snack at the Pier Bar. 09:30 AM: Depart from the pier, cruising as the sightseeing style by our Sailing Catamaran Yacht by highly skilled Caption and Crews. For sure that your holiday time is very happy. 11:00 AM: The experience sailing catamaran Yacht Cruising is slowly living life. Nice view around the yacht and if you are lucky, the dolphins would come to say hello over the sea. 12:00 PM: Arriving at Maithon Island. Everyone get the real of freshly feeling. Find a good seat at our lobby bar and enjoy Thai Buffet Lunch. 13:00 PM: Get the free time on the Beach. And our tour guide leads you to see the View Point of 3 Provinces Land - Phuket, Phang Nga and Krabi. 14:00 PM: The high experience under water guide leads you to do a great Snorkeling from the beach to the best point for snorkeling of the Island. 15:30 PM: Make a good footprint on the white sand, before take a board of Sailing Catamaran Yacht. Leave from the Island back to Phuket. 16:30 PM: We arrival the Deep Sea Port. 16:40 PM: The Air-Condition Minibus take you back to the Hotel. Transfer to and from every hotelwithin Phuket province.